Our mission at Vector is to help business owners and executives, retirees, divorcees and people managing inheritances make smarter financial decisions by finding the right investment and insurance solutions for their unique situations. Every strategy we recommend is well researched and objective. We bring extensive experience as well some of the finest industry tools and technology available to the task of guiding clients and friends to improved financial outcomes. David Wilson is a certified financial planner™ based in the Escondido area of San Diego, CA. Dave is the senior financial planner and investment advisor at Vector Financial Solutions Inc. and has over 28 years of experience providing financial guidance to clients. As a CFP® (Certified Financial Planner) and AIFA® (Accredited Investment Fiduciary Analyst) Dave strives to uphold the highest standards for investment advisors; with an obligation to put his clients’ financial interests first. He values integrity and transparency and has built his practice around these tenets. Dave graduated from UCLA with a degree in Business Economics, attended USC Music School, and has studied law at the California School of Law. 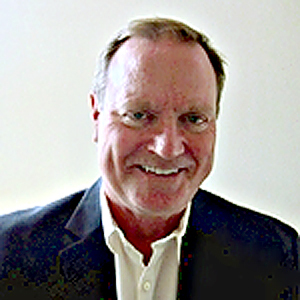 He has worked in Escondido and North San Diego County for more than 25 years providing practical, pragmatic, financial solutions to investors both locally and throughout the country. When Dave isn’t in the office, he enjoys sailing, skiing and spending time with his wife Jennifer and three beautiful daughters. As a kid, I learned that money and finances were very private. Much like politics and religion, they were things you didn’t talk about. Always a curious kid, it was probably that silence that led to my early interest in finances. My financial education began at age 13 when I got my first job mowing lawns, doing grove work, and digging irrigation. Later, I moved furniture, drove trucks, drove a cab and even taught teenagers to drive (yikes!). Much of the work in my early years was hard, but it was satisfying to have just a taste of financial freedom. In college, I was fascinated equally by music and economics. I graduated with a degree in economics, but pursued music as well. Soon after graduation, I was offered a scholarship to continue my education in music school. There, the principles of supply and demand really kicked in. I realized opportunities as a musician were scarce and the supply of good players was strong. I loved music, but that would not be my career. After leaving music school, I worked at UCLA’s credit union. There, I was introduced to banking, lending and customer service and began taking night courses in a little known field called financial planning. I progressed from life insurance to commodities, and finally into the securities field where I earned my designation as a certified financial planner™. It wasn’t long after I started in financial planning that I came to realize working in a large financial firm wasn’t for me. I saw lots of big companies pushing mediocre products on consumers. These companies made recommendations based on their best interests, not the client’s. I decided then to work as an independent advisor and have worked that way for the past 28 years.